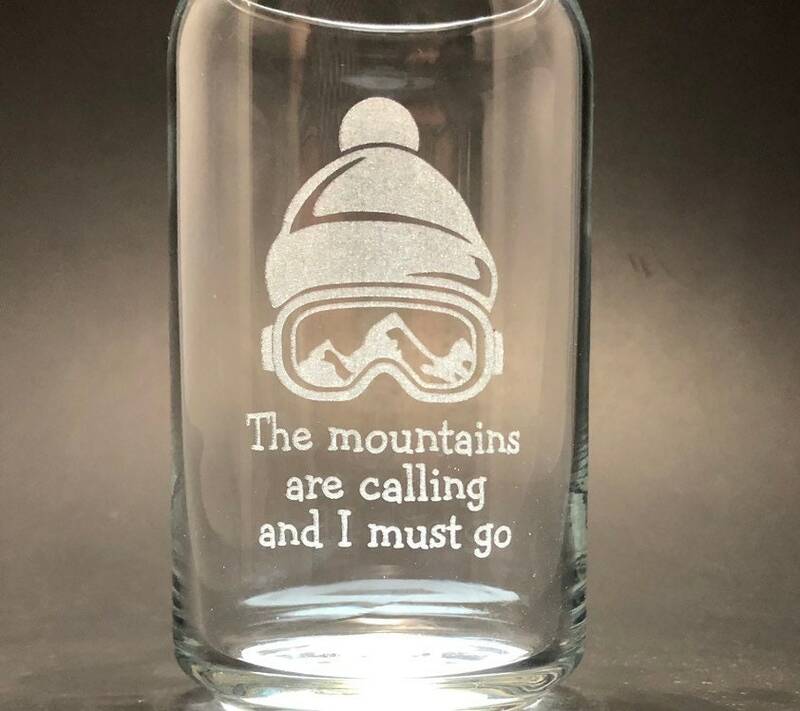 The mountains are calling and I must go is permanently laser etched into our 16 oz can glass. 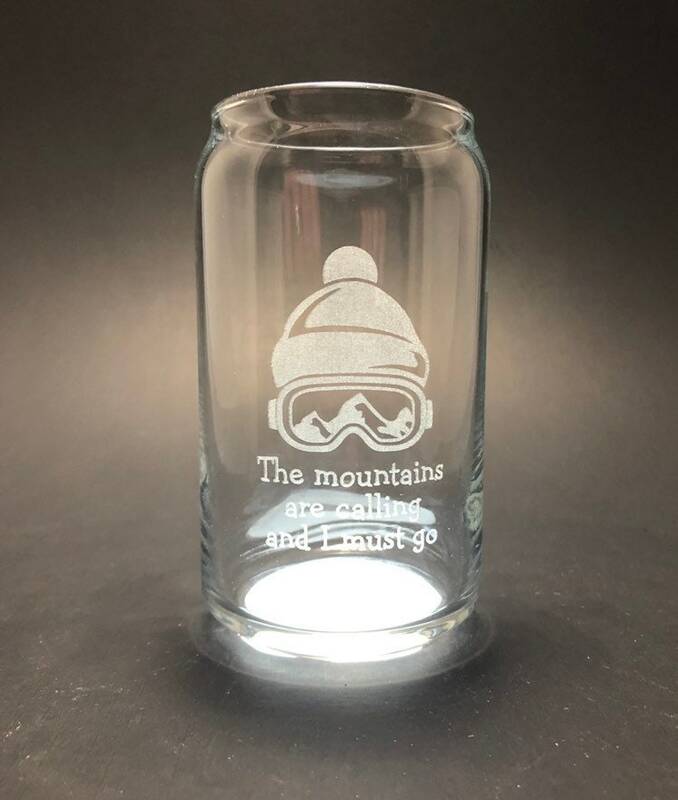 This is a cool and versatile glass that will hold your beer or creative cocktail in style. A sturdy glass that holds up to daily use.